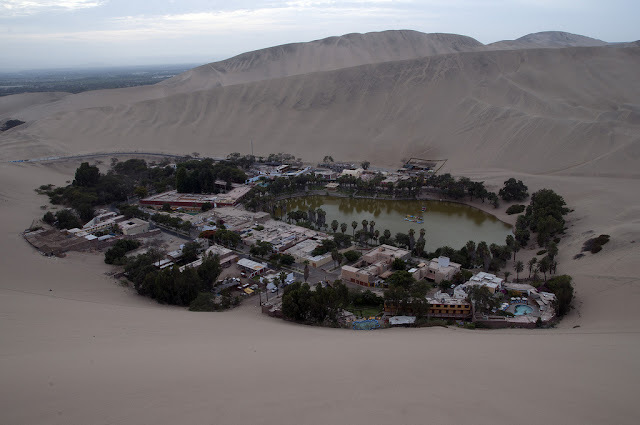 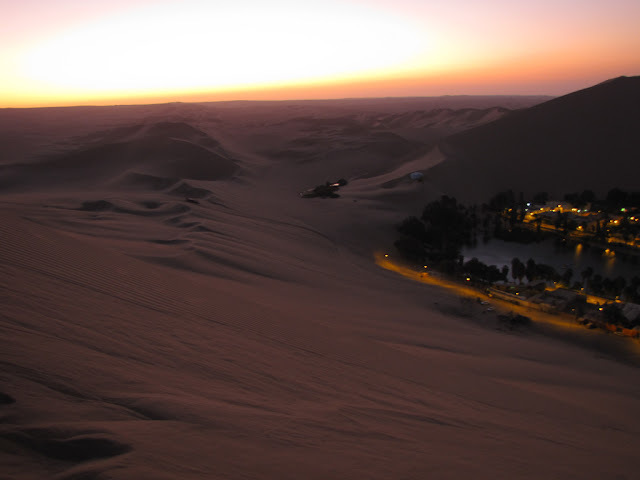 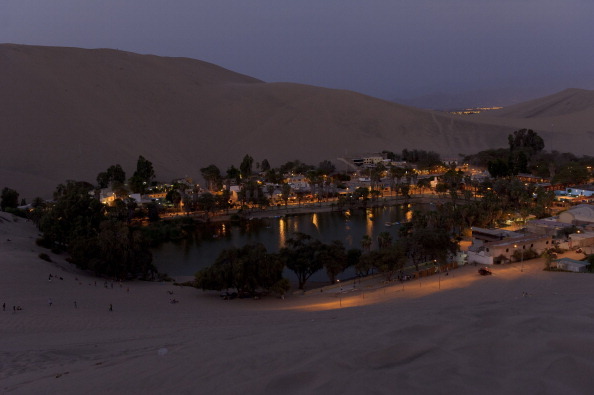 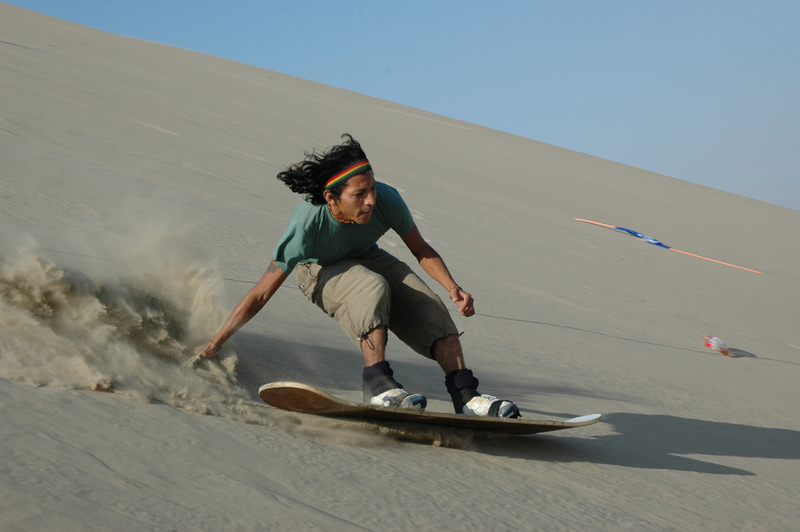 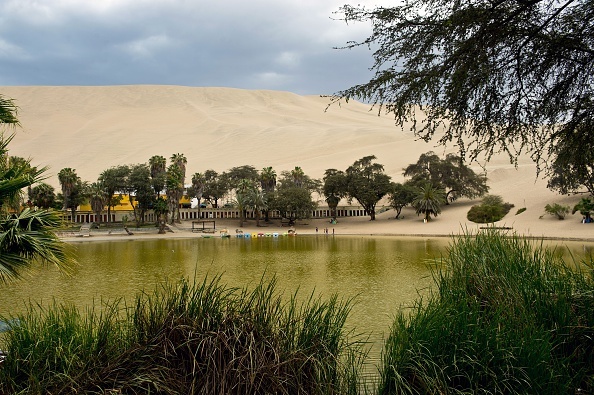 Huacachina has a population of just 96 residents living next to this surreal natural lake, surrounded by sand dunes that stretch hundreds of feet high. 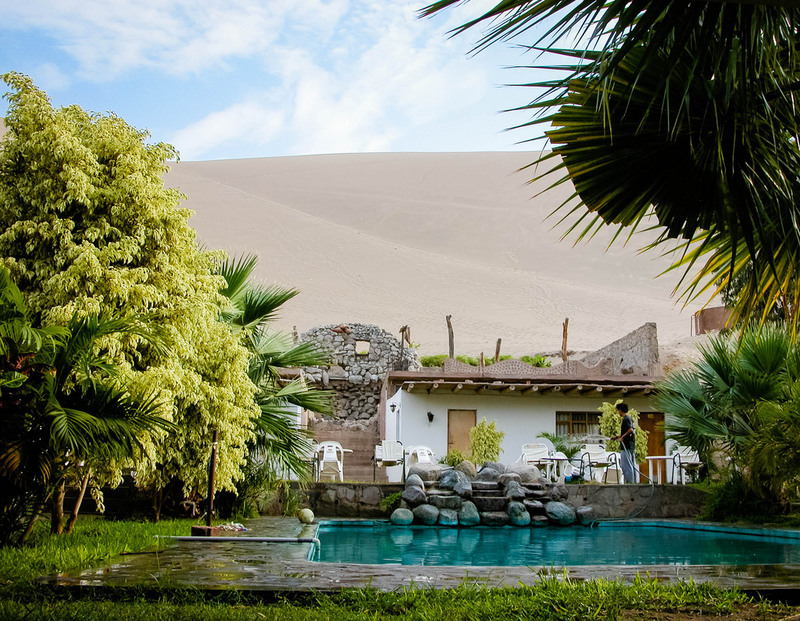 Being one of the few remaining natural oases in existence in North and South America, it has appropriately been called “the oasis of America”. 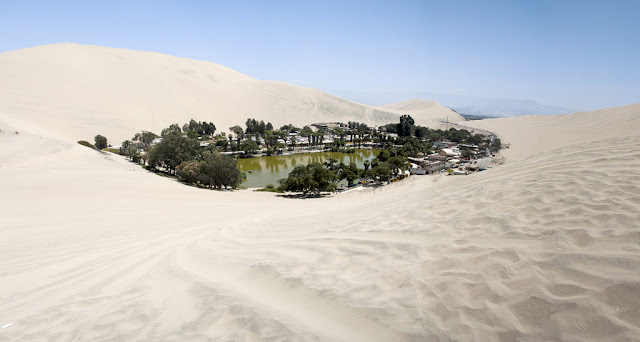 And look at that! They’ve even got their own desert oasis library– that’s got to be a first! 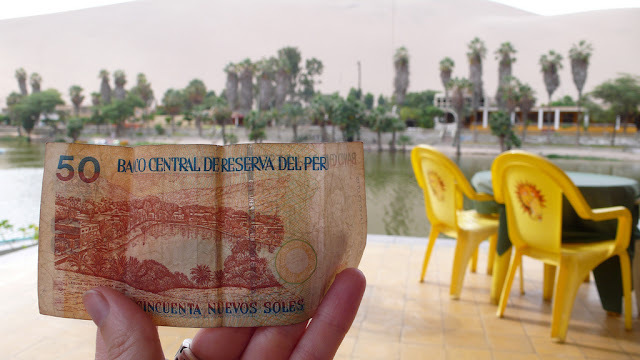 And if you ever picked up a Peruvian 50 Nuevo Sol note, you would have found a a clue to nation’s hidden treasure! 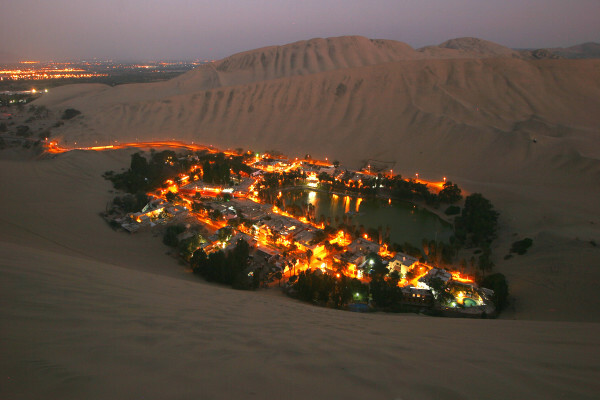 In the beautiful desert nightscape, the mystical town glows like a fistful of gems. Local legend says the oasis was formed by a beautiful princess thousands of years ago. 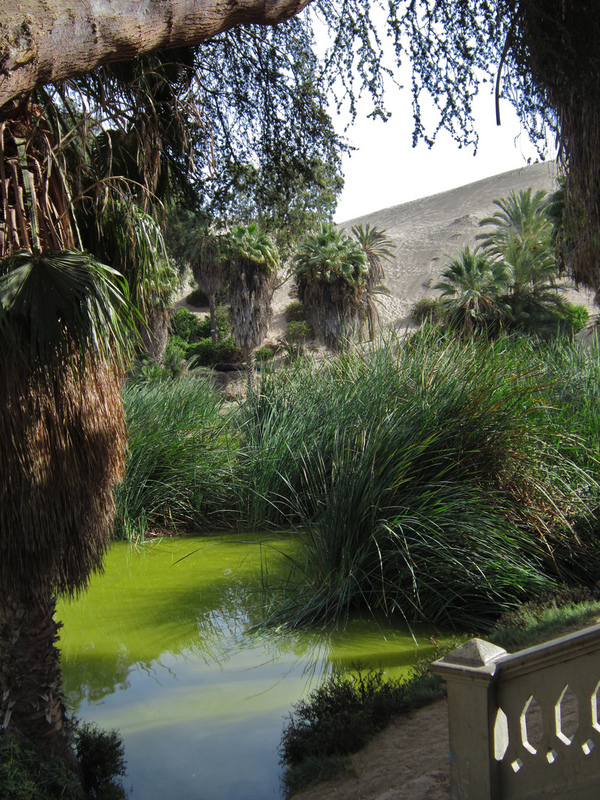 The princess was bathing in the lagoon, when a hunter happened upon the spot and tried to capture her. She fled, but her bathing pool was left behind as the oasis, and the folds of her dress turned into the surrounding sand dunes. 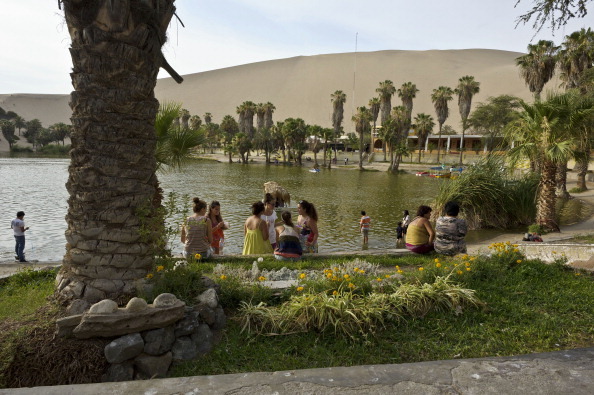 Today, it is said that she still swims the lagoon as a mermaid. 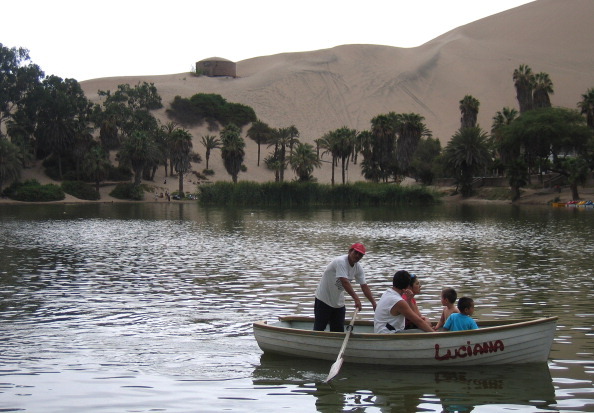 Because of this, the lake is said to have magical healing properties. 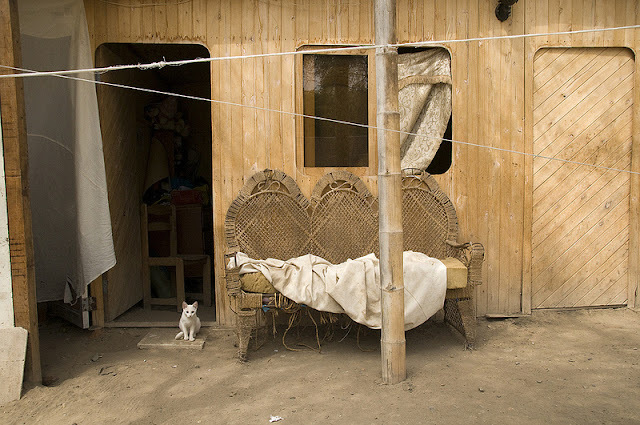 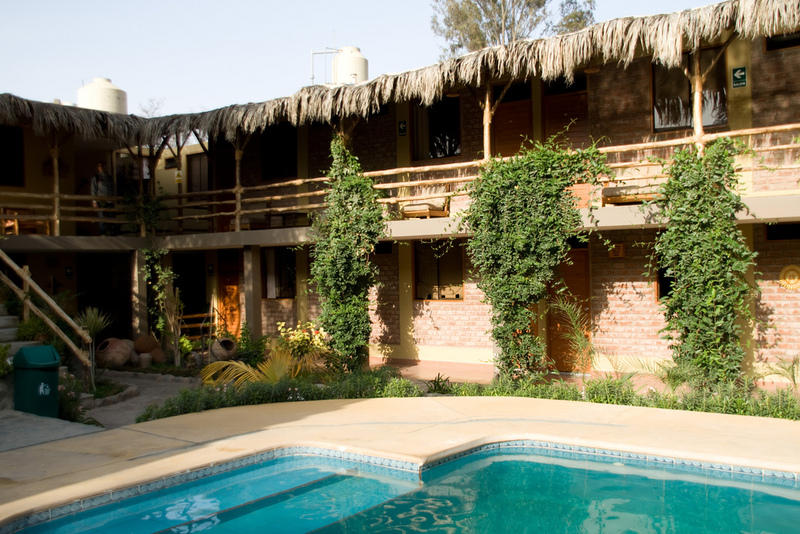 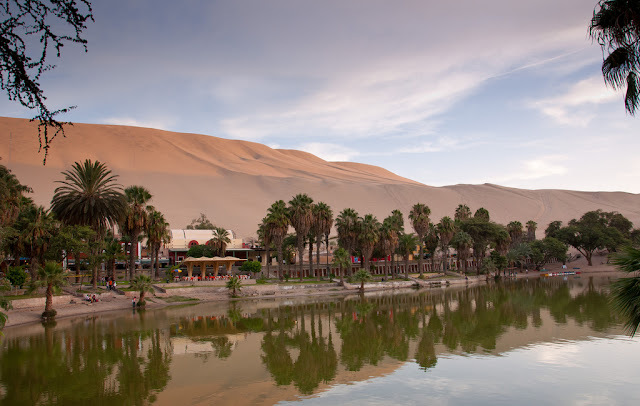 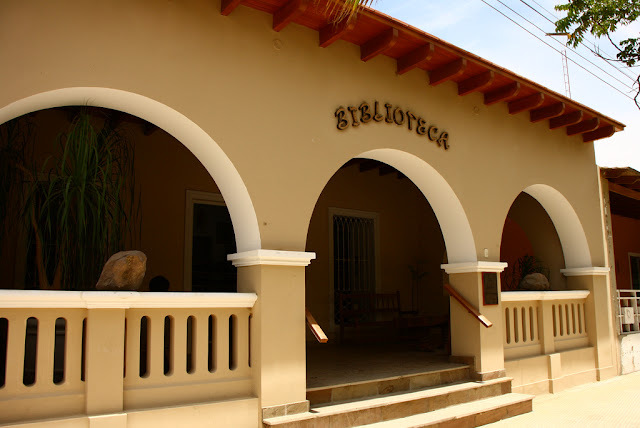 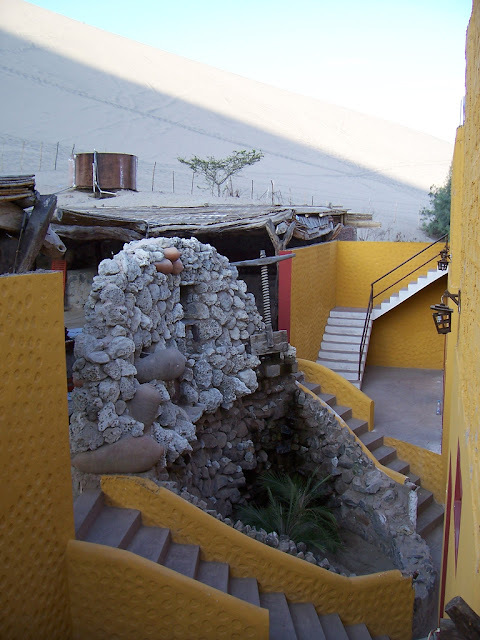 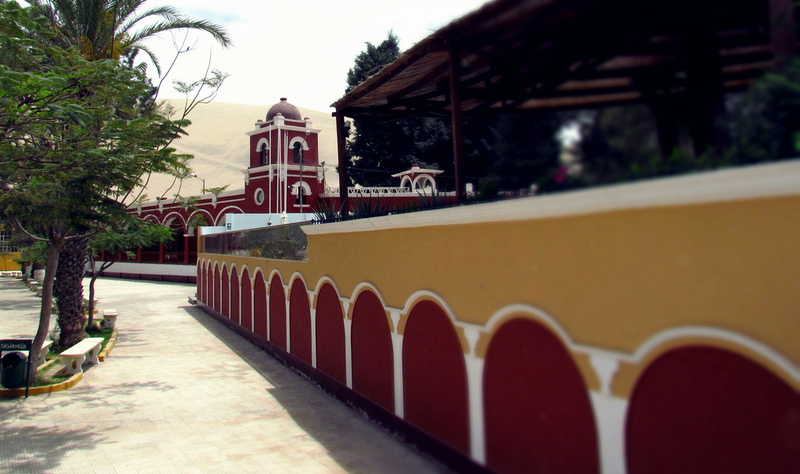 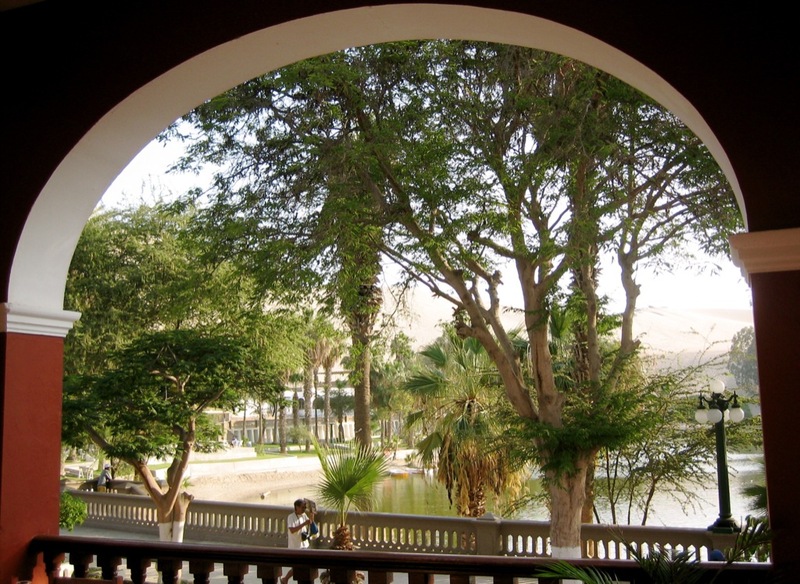 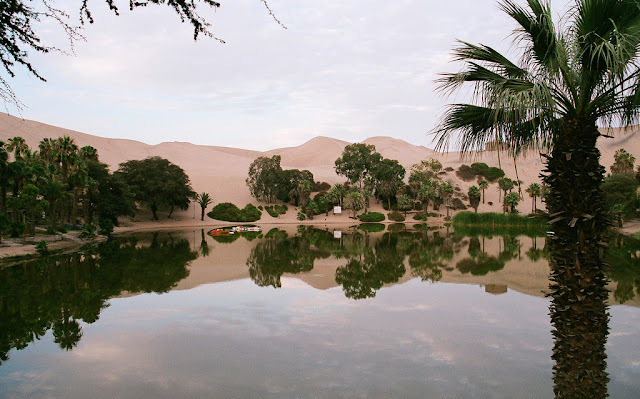 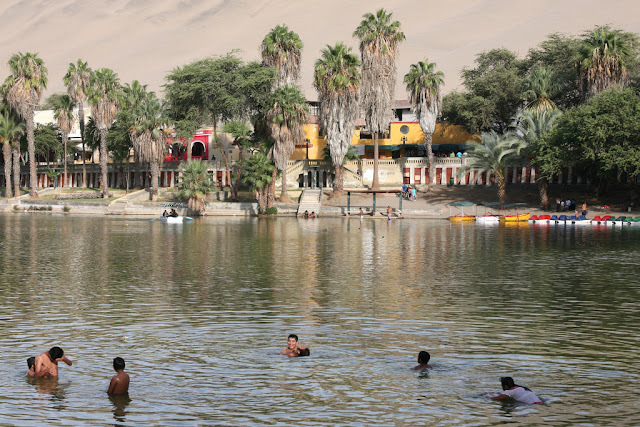 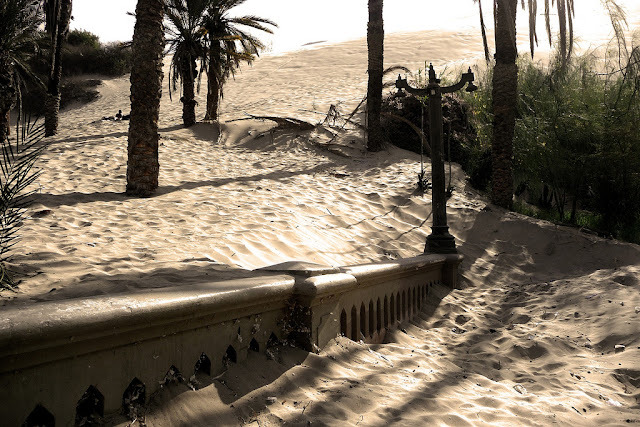 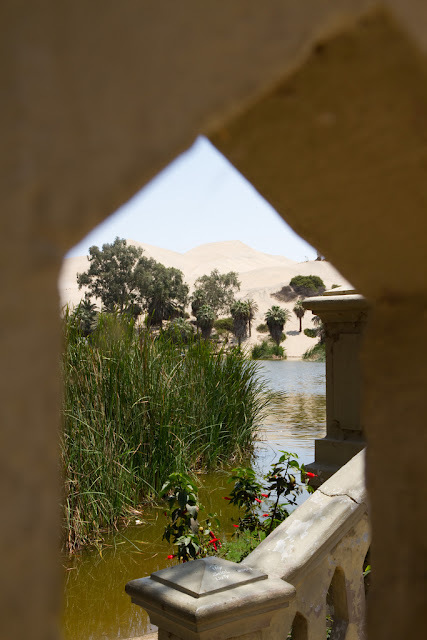 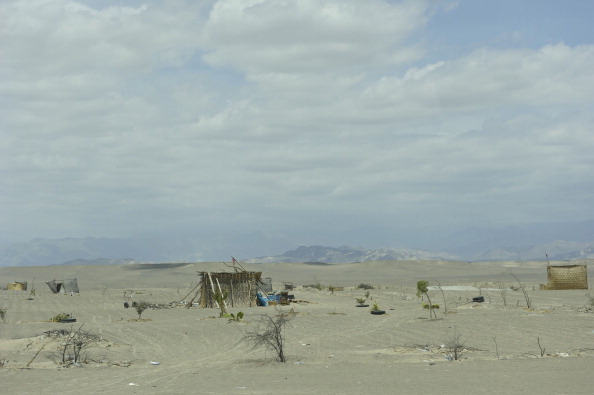 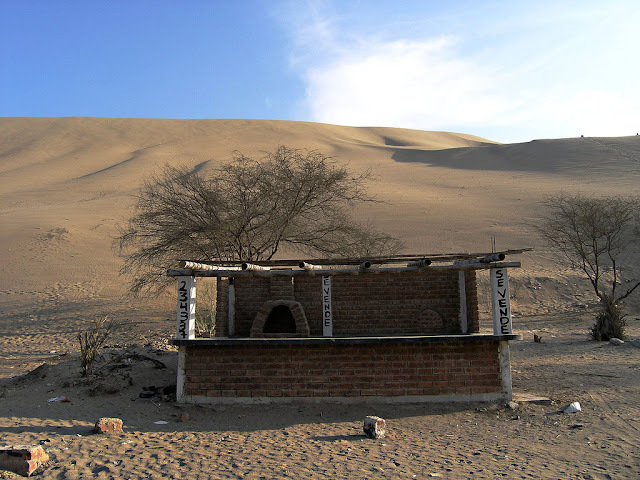 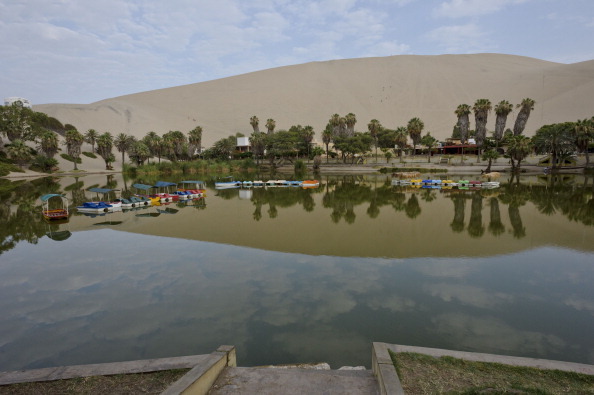 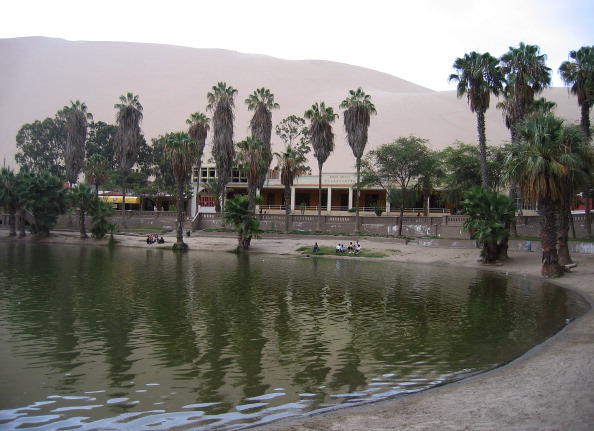 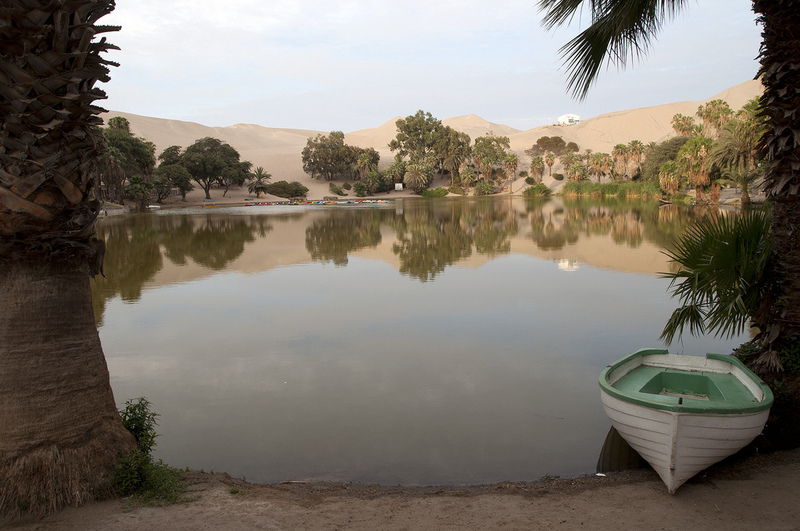 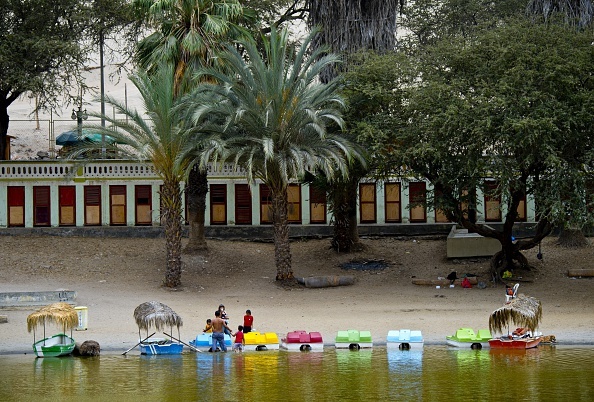 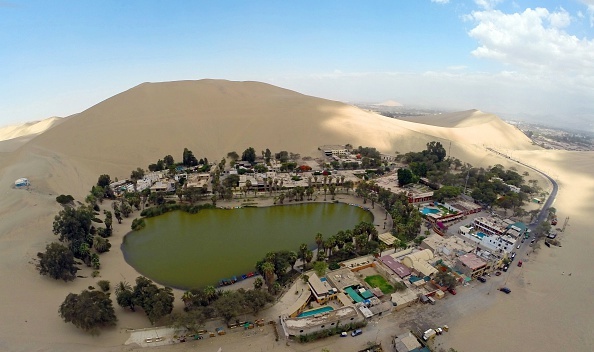 In the 1940s, wealthy Peruvians flocked to the oasis to swim in these medicinal waters.